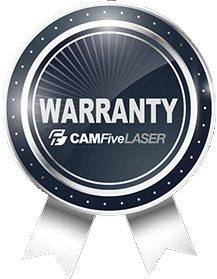 CAMFIVE LASER FC105P FIBER METAL CUTTER EQUIPPED WITH IPG 700W SOURCE, A STRONG FRAME WITH 10 X 5' FULL SHEET CAPACITY worktable AND A METAL PIPES CUTTER ATTACHMENT. 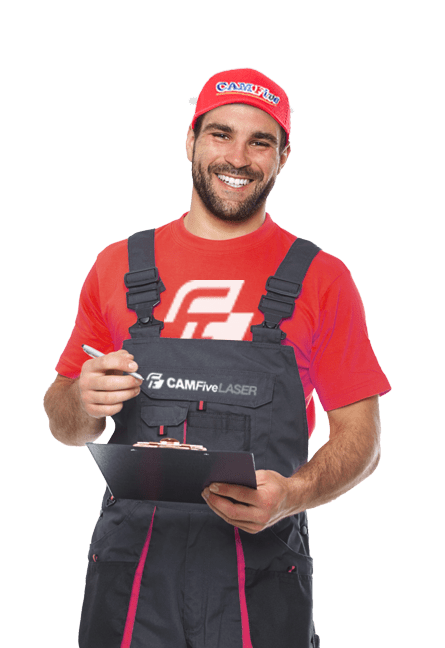 Our CAMFive Laser Metal Cutter Model FC105 with 10x5' full sheet capacity and pipes cutter device comes equipped with 700w IPG Source and is the fastest and cleanest way to cut metals like steel (stainless, mild, galvanized, mirror) Copper, brass, aluminum and more, some of them up to 1/2" or 12 mm thick. It offers a stable and precise drive system with a German ball Screw displacement axle, fast Japanese Yaskawa servo driving motors and dynamic auto-focus. WORKING AREA: 10 x 5' ft. Full Sheet capacity. (Cylindrical tube diameter up to 150mm and square tube up to 100mm). PIPES CUTTER DEVICE AND WORKTABLE: Specialized in Metals. Strong design and Pipes cutter device. Laser Power IPG 700W (Available Upgrade to IPG 1000w and 2000w). Machine Dimensions Length: 126" (3.20 mt), Height: 68" (1.74 mt), Width: 171" (4.35 mt).